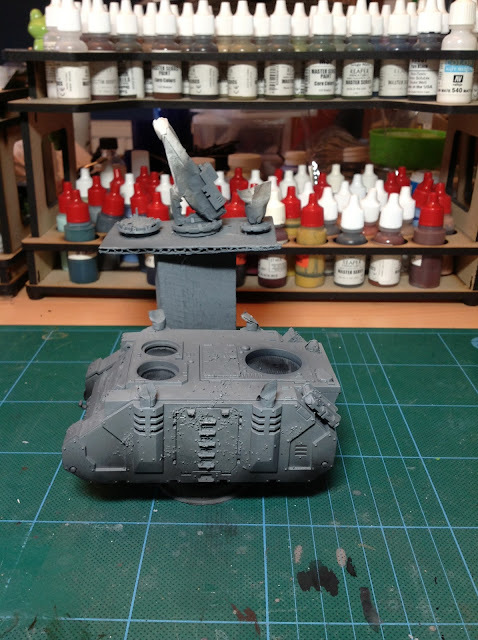 I airbrushed the tank in a light coat of black paint and then worked on getting some grey shades and highlights in. I also added some extra black around the bottom of the areas of the tank. 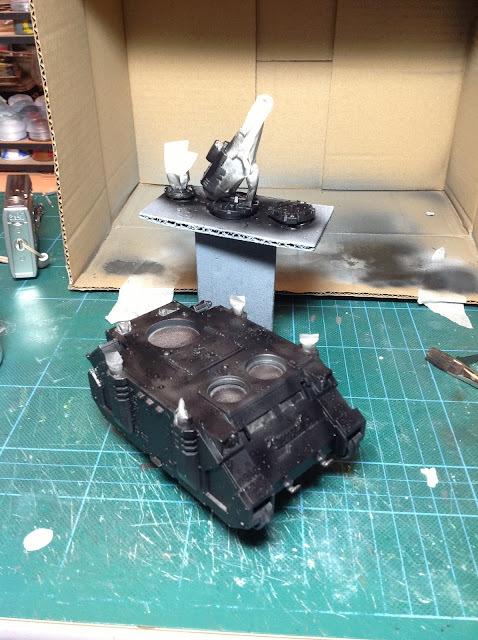 That’s the airbrush done now (I think) – time to now remove all the masking and the salt…!